"At the moment we are surrounded by the debris of a dying civilization.. it's ridiculous pattern of behavior.. I always think: are human beings made to spend eight hours a day watching a computer screen? NO. Even if they are valuable for exchanges like this.. We are made of star dust, we are here for few short years, so what are we going to do with this experience? How are we going to give back our light back to life? Back to the soul of life that needs it at this time because of so much damage has been done." Buddha at the Gas Pump is an interesting web based program where it's host Rick Archer interviews many people across different spectrum who have gone through spiritual awakening. In its 205th Episode he interviewed Sufi Teacher Llewellyn Vaughan-Lee who moved to Northern California in 1991 and founded the Golden Sufi Center, (www.goldensufi.org). In recent years the focus of his writing and teaching has been on spiritual responsibility in our present time of global crisis, and an awakening global consciousness of oneness (www.workingwithoneness.org) (Working with Oneness). More recently he has written about the feminine (The Return of the Feminine and the World Soul), and the emerging subject of Spiritual Ecology (http://spiritualecology.org) He has been interviewed by Oprah Winfrey on Super Soul Sunday, and featured on the Global Spirit Series shown on PBS. His most recent book is Spiritual Ecology: The Cry of the Earth. Much of this interview focused on the topic of that book. 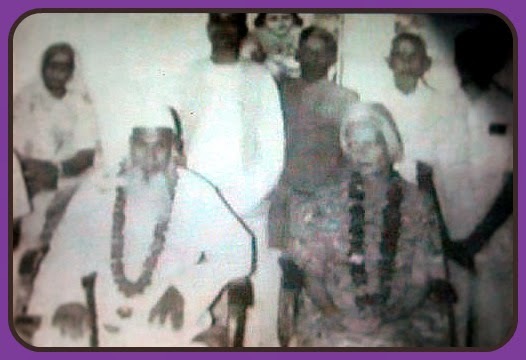 The first part of the interview consists of how the spiritual journey of Llewellyn unfolded and how he met his own Sufi teacher Ms Irina Tweedie only to discover that Ms Tweedie entrusted Llewellyn to her own master, then already passed away from the world of appearances, Radha Lal Mohan, known as Bhai Sahib. In the second part of the interview the author and guest engage more on spiritual ecology and spiritual responsibility in this present time of global crisis. How after one attains the awareness of oneness as a station, one engage and act responsibly towards life and environment. Click on the video window below to watch the Interview (time approximate 1 hour in length). Ordinary people everywhere are undergoing a shift to an Awakened state of consciousness which is transforming their understanding of themselves and the world. For some, this shift has been abrupt and dramatic. For others, it has been so gradual that they may not have realized it has occurred. Such shifts, or “awakenings,” are not new: Christ spoke of the “Kingdom of Heaven within,” Buddhists speak of Nirvana, Zen masters of Satori, Hindus of Moksha, but these traditions generally regard these states as rare and difficult to attain. Many people are therefore skeptical of claims of higher states of consciousness. They find it hard to believe that apparently ordinary friends and neighbors might be experiencing something extraordinary. Maybe they expect Enlightenment to look as remarkable on the outside as it is reputed to be on the inside. This show Buddha at the Gas Pump attempt to dispel skepticism and misconceptions by week after week, allowing otherwise ordinary people to relate their experience of spiritual awakening. The terminology is tricky, because there are no universally agreed upon definitions to describe this experience. Also, enlightenment is not something that an individual person “gets”. It’s not even something that the mind can grasp. It’s an awakening to that which contains the mind and all other things. So it’s not surprising that language is inadequate to convey it. 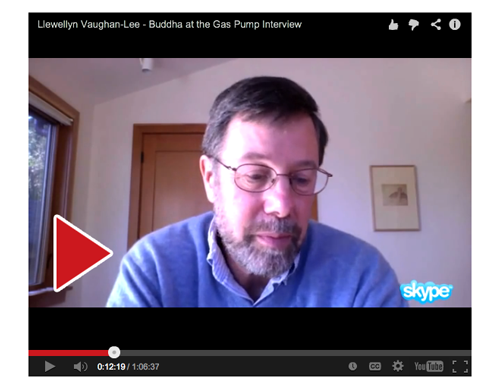 + Visit the site Buddha at the Gas Pump to watch and listen to more interviews.